Economic Collapse. That’s a pretty big statement with insinuations that directly influence your everyday life. When you stop and think about what that means, it can be daunting. Because of this, it’s easy to brush off the idea of an economic catastrophe. It’s not just “other worldly” to most of us; it’s a huge unknown. It’s easy to simply disregard it as a problem too distant and too large to tackle. But instead of ignoring the potential for economic disaster, just start preparing. Anything you do now will be better than nothing. A big problem needs a big solution. But keep in mind; you have direct control over a very small portion of the overall scene. You are first responsible for your family’s needs. It is good to think about how to prepare to help extended family, friends and neighbors, but that must be secondary. Before you factor in taking care of others, you need to set and reach goals that ensure your family is secure against disaster. Once these goals have been met, you can begin adding to that. These goals are met just like any other: a little at a time. For example, just because you can’t afford a two year supply of pre-packaged long term storage, that doesn’t mean you can’t start stocking food. Instead, buy some extra canned or dry goods each shopping trip and build your supply gradually. 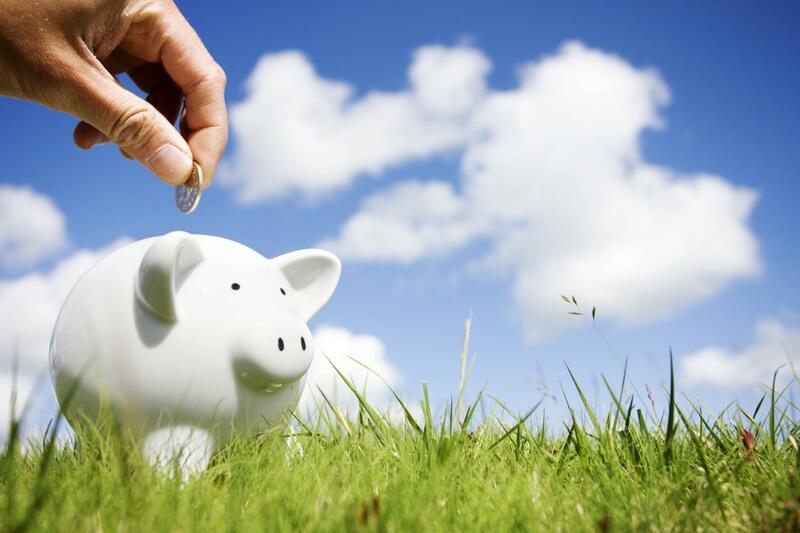 Check out how to build a year food supply for $5/week. Don’t let the magnitude stop you from beginning preparation now. Little steps create big changes. Preparation efforts can be greatly eased by streamlining your current lifestyle. Cleaning up your “21st century” routine by doing things like selling unnecessary or little used luxuries and eliminating debt will go a long way towards preparedness for economic collapse. For one thing, you are likely to have more cash available to put towards food, tools, and supplies. Second, eliminating anything that could weigh you down is important. Outstanding debt on your toys and nice car will not go away in an event less than utter collapse. The last thing you want is the possibility of a higher interest rate on your loans in the middle of a depression where your normal income may be hanging in the balance. Along these lines, consider your current employment. Is it a job that’s likely to survive economic troubles, or will it be the first thing to get cut? Will your skill set be among those in demand during and after economic disaster? While these things should not solely determine your career path, it may serve you well to consider them now. If nothing else, the security of your current job may influence your long-term preparedness plans. The main thing to remember is this: Wise and responsible lifestyle choices in the current economic environment will not only make your life more secure now, it will minimize the damage during economic collapse. What’s the worst-case scenario? 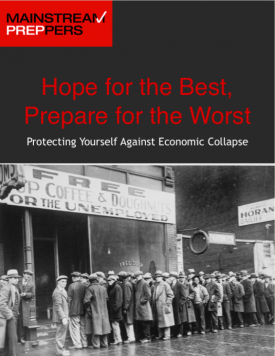 If we’re talking about a total economic collapse, that means life as we know it is likely to cease. Now, what is the worst-case scenario for you and your situation? This will depend on factors unique to your family’s current lifestyle and location. Those living in heavily populated areas may face greater challenges than people who live in the country or more remote areas. Some geographical locations lend themselves to dealing with lifestyle disruption better than others. This is important to keep in mind as you move forward with preparedness plans. For example, people who don’t live on city utilities have an advantage that many others do not. If the city sewer and water go down because of facility malfunction or lack of maintenance, there’s not a lot you can do. But if you simply need to get water from your well to the house, that may only require a way to power the well pump. Since there are various options for generators, sustainable power, or even a hand pump, this is certainly doable. If you are able to put your family in a location that will minimize your worst-case scenario, do so. Essentially, the worst-case scenario is your goal line when preparing. Start by prioritizing your family’s needs, and begin preparing from the foundation, working your way up. Make a list starting with items to address your most important needs, down to things that would simply be nice to have. This gives you a game plan to work from. Once you start your plan in motion, you will find taking steps to control your situation is an empowering experience.